Need an intermission from the recent truckload of darkness pouring out of your favourite comics? I know I do. While I loved Blackest Night and think Walking Dead can never get enough press, I think it's time for 'fun-to-read' comics to come back to the fore - ones that can make you laugh, while still delivering all the imagination and action the medium is known for. 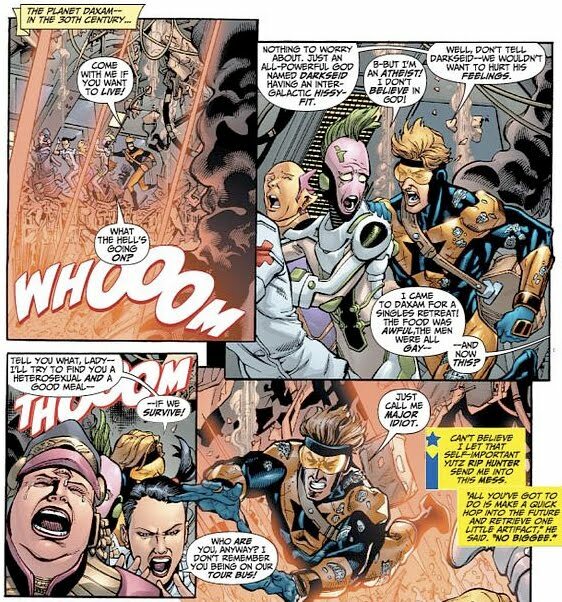 Luckily in a bout of pure synchronicity, this week sees DC chuck writers Keith Giffen and J.M. 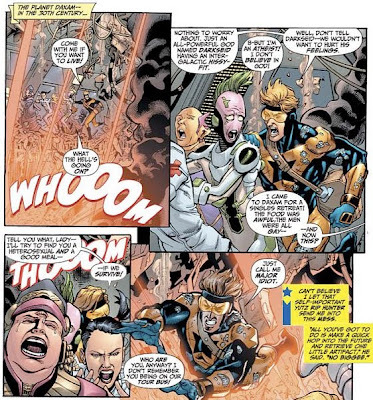 DeMatteis onto Booster Gold, in order to bring the "bwa-ha-ha" back to "the greatest hero you've never heard of". See? 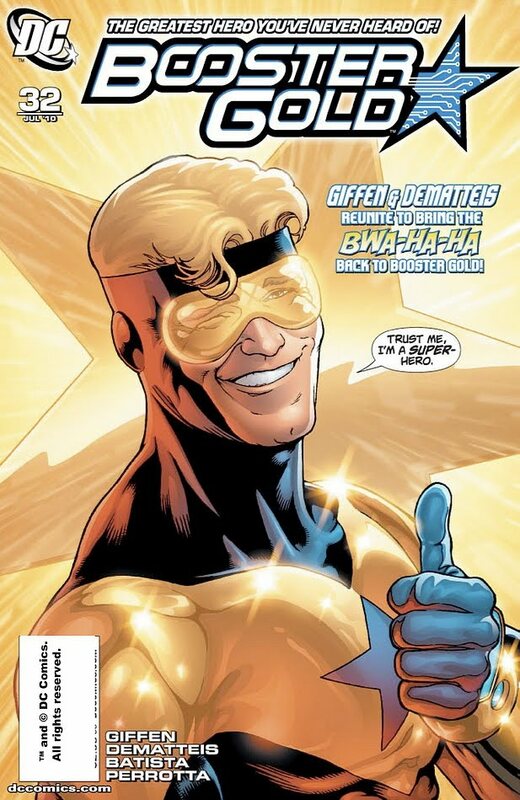 The few who lament artist Kevin Maguire's only on covers, need to jump to the full preview for Booster Gold #32 over at Newsarama. There any fears you have remaining over the books inner-beauty, after Chris Batista's awesome page one, will be obliterated completely with his astonishing page 2 to 3 splash. So deviate from your regular picks and get your local comic keeper to chuck the crews debut issue in your bag. Trust me, if you've waited for the dark reign to end, this is your book.